Ninety-nine percent of buses are boring. But there's always one one percent of them too cool for school. This bus is one of those. 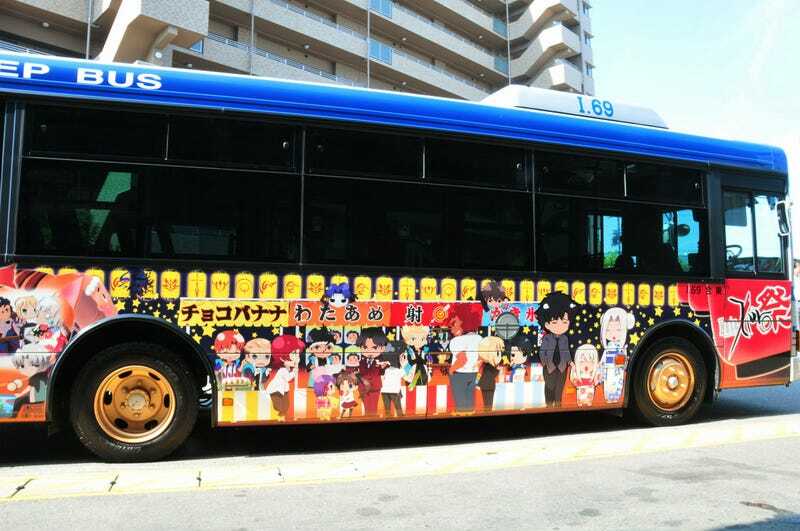 Wrapped in Fate/zero, this Tokushima City bus is for upcoming nerd event Asobi Machi. Fate/zero is a light novel that's the result of a collaboration between Type Moon and game developer Nitro Plus. It's the prequel to Type Moon's visual novel Fate/stay night, which has spawned fighting games and a feature length anime.